Silver bangle with stamped leaf design. 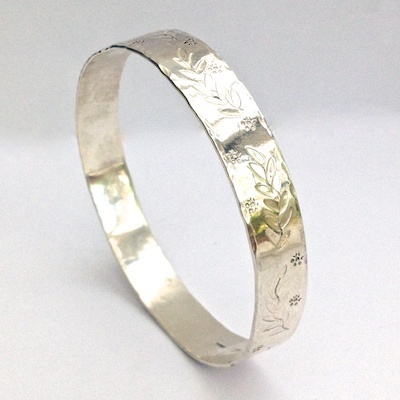 Silver bangle with stamped leaf and flower design and lightly hammered edges. Bangle approx. 10mm wide. This bangle is made to order. Please allow up to 4 - 6 weeks for delivery.